This article is being co-published with Ultima Ratio. 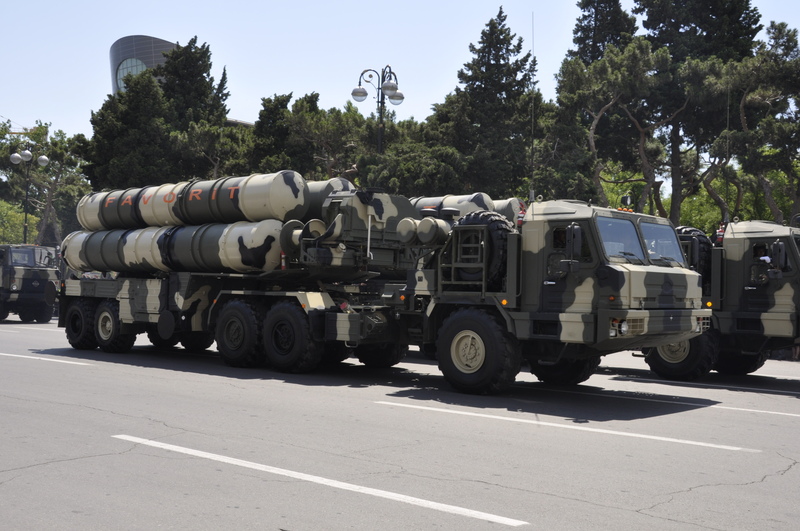 Vladimir Putin’s recent decision to lift the embargo on the S-300 sale to Iran has once again put this famous long-range surface-to-air missile (SAM) system at the top of the list of sensitive conventional military technologies. However serious the S-300 threat – which the US and Israeli Air Forces boast they can deal with, though the financial and military cost to do so would still be a crucial victory for Tehran – it should not overshadow a much broader evolutionary trend, that of the increasing proliferation of Integrated Air Defense Systems (IADS) and the growing number of “no-fly” zones that Western air forces will subsequently have to face in the coming years. Beyond the SAM threat itself, thus stands the question of the sustainability of Western air supremacy which has persisted for the last two decades. It is well-known that Airpower thinking – like any strategic thinking – strongly suffers from cultural biases, and the idea that air superiority comes primarily from dogfight virtuosity is certainly one of the most deeply-rooted ones in the airman ethos. However, a quick look at the short history of airpower suffices to show that the most serious challenges to air superiority have come much more often from the ground than from the air. Even in conflicts usually perceived as symmetrical, such as World War II, the surface-to-air threat has proven more deadly than the enemy fighter fleet at its best. This is well expressed by the table below showing the losses suffered over Germany by the US Army 8th Air Force between 1943 and 1944. Source: W.A. Hewitt, Planting the Seeds of SEAD, Air University: Maxwell Air Base, 1992, p. 5. 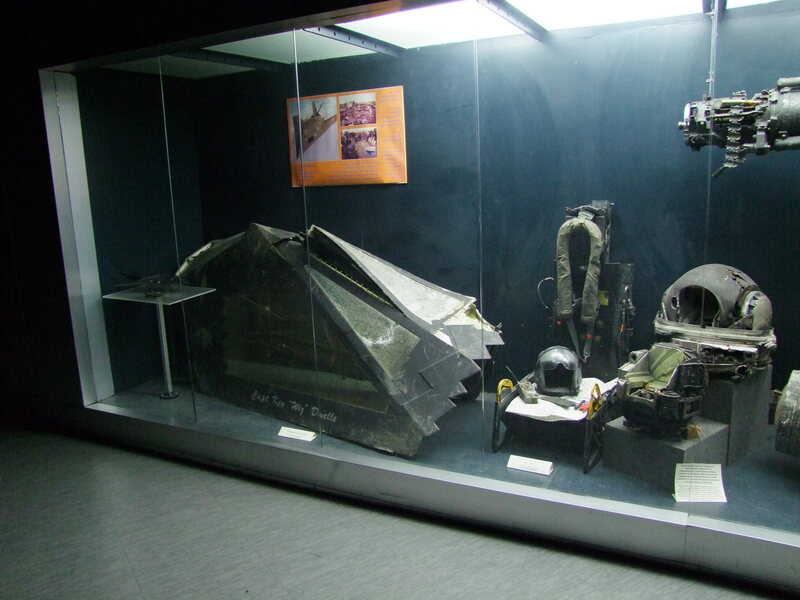 Of course, the prevalence of the anti-aircraft artillery (AAA) threat, and later the SAM threat, over enemy fighters would become even clearer in following conflicts such as Korea, Vietnam, or more recently Kosovo – where Serbian jet fighters were rarely even allowed to take off but a concealed SA-3 shot down a supposedly-stealthy F-117. “Death from below” is therefore anything but new. In fact, it has been the rule rather than the exception in the history of counter-air strategies and should be considered as such in all Air Academies, romantic dogfighting stories notwithstanding. 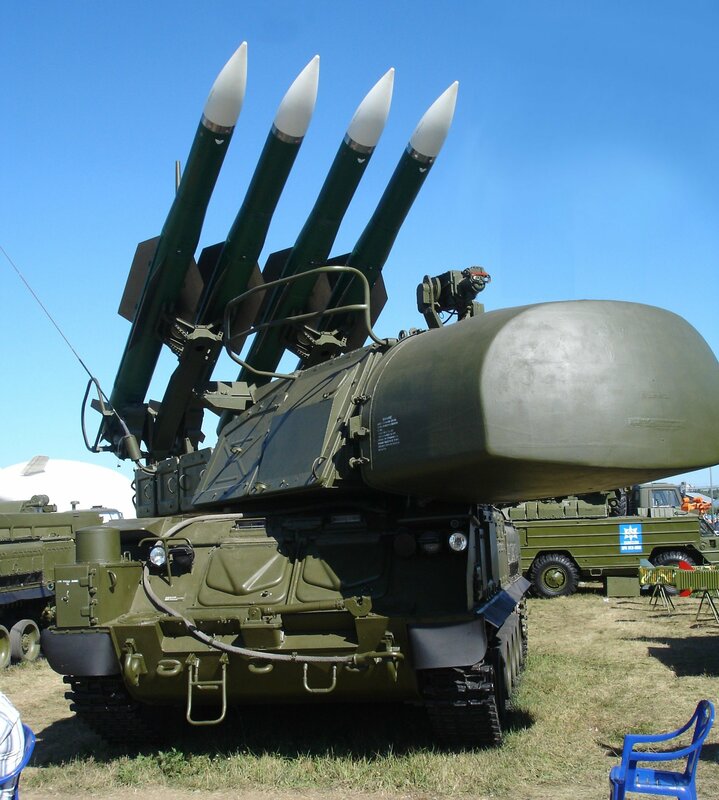 Much has already been said about the so-called “double-digit SAMs,” an expression referring to SAM systems which received a NATO reporting code name from the SA-10 (first S-300P system) onwards (the latest being the SA-24, a.k.a. Igla-S, fielded in the late 2000s). Since NATO reporting is essentially chronological, “double-digits” do not represent a specific capability but a mere label to talk about relatively modern systems fielded since 1978. While extended range and speed are generally the most emphasized features of “double-digit” systems, the real disruption might actually lie in the massive introduction of modern computer technologies in early warning (EW) radars, target acquisition (TA) radars, and terminal guidance components. This new SAM generation has fully benefited from the diffusion of high-end techs, such as phased array radar, representing a significant challenge to our ageing (if not obsolete) antiradar and jamming capabilities, a field massively disinvested in by all major Western air forces with the notable exception of the US Navy. At the same time, VHF-band and passive radars pose serious issues for traditional “stealth” designs and materials, many of which were designed to evade other parts of the spectrum. Moreover, the introduction of information technologies into air defense systems has led to far fewer problems in terms of miniaturization than for airborne systems. Therefore, even if Western technologies still lie some years ahead, disruptive SAM techs can offset them in terms of computing power because, as ground-based systems, they are less space-constrained. This dissymmetry is a structural issue that Western airpower will have to address one way or another (either qualitatively or quantitatively) if it wants to maintain its ability to penetrate, suppress, or destroy enemy air defenses. Beyond this single-system analysis, one also needs to address the issue of integration, as the technical performance of an isolated system is much less deadly than that of an IADS which binds together SAM batteries of various ranges with EW/TA radars through a resilient C2 network (often resting on deeply buried landlines). Taking down such a system would require much larger capabilities and would probably put at risk highly sensitive technologies whose possible loss could be considered a strategic risk outweighing the benefits of the intervention. Hybridization is another worrying phenomenon: while there are a high number of “one-digit SAMs” throughout the world that we usually think we can easily deal with, there is a growing market for their secret modernization. While the enemy system could look like an antique car from the outside, it could hide a relatively modern engine on the inside, making it a nasty surprise for any Western pilots embarked on SEAD or strategic attack missions. This short overview helps add some sophistication to the quick analyses on the sale of a single, high-profile system. However dangerous a couple of S-300 batteries may be, these high-profile sales should not overshadow the impact of a more discrete purchase of say, medium-range SA-17 or even short-range SA-22 (both acquired by Syria just before the civil war started), which could prove devastating if integrated efficiently and manned by the right well-trained operators – as was tragically revealed by the shoot-down of the civil airliner MH17 over Ukraine. All this proliferation might not be that worrying if it were not for the tactical knowledge being disseminated at the same speed as the materials themselves. Previous experiences (e.g. Kosovo) have shown how dangerous an operator can be when he perfectly knows his system, even if it’s not high-end technology. In this respect, one needs to be especially cautious about the brain drain suffered in the last decades by former Eastern Bloc republics to the profit of southern and potentially “rogue” states. There is a knowledge gap which plays to our disadvantage as well. Indeed, while first generation SAMs are well-known to Western air forces and have already been engaged, destroyed, or even captured/acquired (so NATO countries can train on them), this is not the case of double-digit SAMs whose exact performance, technical features, and tactical behaviors are much less certain. On the other side, the numerous operations involving Western air forces in the last two decades have given our adversaries plenty of occasions to study our operational patterns and identify possible weaknesses. Beyond the mere tactical level, the new SAM threat has to be considered in a larger perspective. It is an expression of the closing of the technological gap which has allowed the US and its Western allies to enjoy air supremacy throughout the globe, enabling them to intervene wherever and whenever they saw fit. Short of a new revolution in military affairs, we are witnessing the end of an era: certainly that of the post-cold war Western military supremacy and possibly of an even longer period, one that opened in the 16th century with the advent of firearms which spawned the first military revolution. Élie Tenenbaum is a Research Fellow at the Security Studies Center of the French Institute of International Relations (IFRI). His research focuses on irregular warfare, military interventions, and expeditionary forces. He holds a PhD (2015) in Military History and an MA in International Relations (2010), both from Sciences Po. He has also been a visiting fellow at Columbia University (2013-14) and has taught International Contemporary History at the Université de Lorraine.